The first fan pictures from the 2009 leg of Madonna’s Sticky & Sweet Tour come of course from the opening night concert at the O2 in London on July 4th and are shared by longtime M-Tribe friend and contributor Ant who shot them from front row, had a great night and whose sister even got to shake Madonna’s hand during “Give it 2 me”. Check out his complete set of eighteen images at our Sticky & Sweet Tour Galleries – click on the images below to get there. 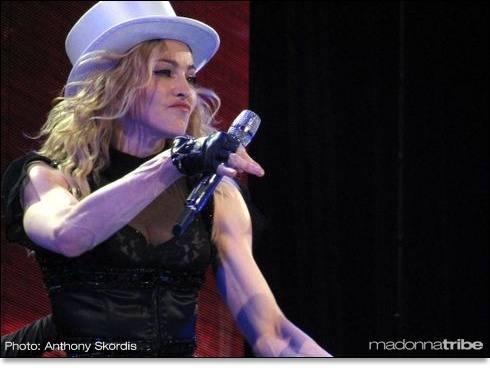 Share your 2009 Tour pictures by sending an email to share@madonnatribe.com. Previous story Time to share!